Hybrid drive systems are those narrowboats that use two distinct power sources to provide propulsion. In the case of narrow boats these sources are usually diesel engines combined with battery powered electric motors. Where we see whisper quiet narrow boats cruising the network, usually these craft will be what is known as hybrids. A hybrid propulsion system is one that combines two or more technologies. The earliest form of hybrids were those river barges who were keelhauled by both men and horses and then used a sail when the conditions were right. 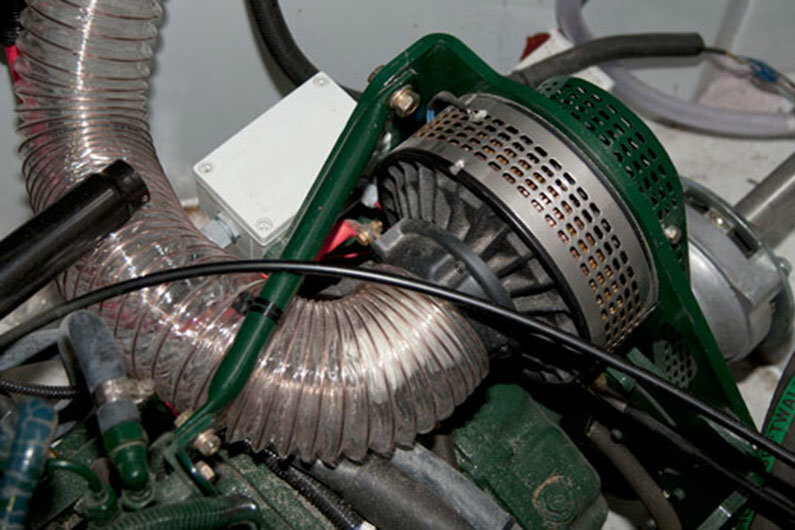 When referring to hybrid power systems for narrowboats in the modern era we are specifically talking about boats that have conventional marine diesels but which have the addition of an electric DC motor as a supplementary method of propulsion. The systems are technically advanced but simple in design and application. The main engine diesel will provide both motive power to the propeller and generated electrical energy to supply a battery storage system. 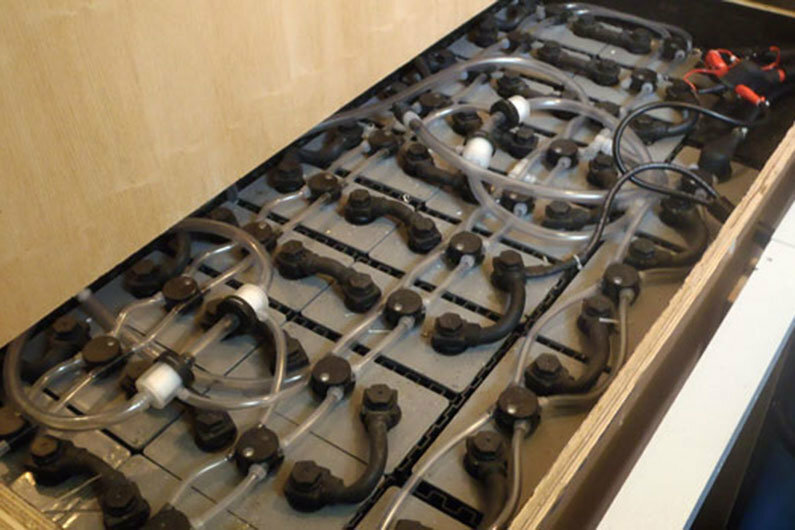 When there are enough stored amps in the battery bank, this power can be used to run a high torque DC motor. Both the motor and the engine share the same propeller shaft and propeller, the motor driving the shaft via a toothed belt and gear wheel with the engine driving the shaft via the conventional gearbox drive. Systems can be designed for both narrow boats and wide beam craft, the principle differences being the size of the battery bank, electric motor and engines. A bespoke canal boat builder would need to be consulted if you would like to adopt this technology on your new canal boat. Hybrid systems are also in use that use a diesel generator exclusively as a power source. In this case, propulsion is catered for exclusively by the electric motor, or motors, and the generator is used for keeping the batteries charged. Current technology, coupled with practicality, enables 6 to 8 hours cruising from a 48VDC battery bank rated from between 500 and 1000amp hours. Benefits include silent cruising, less pollution during lock operation and, with the correctly specified battery/charger/inverter combination, the ability to eliminate gas installations and use the available battery power for electric cooking etc. 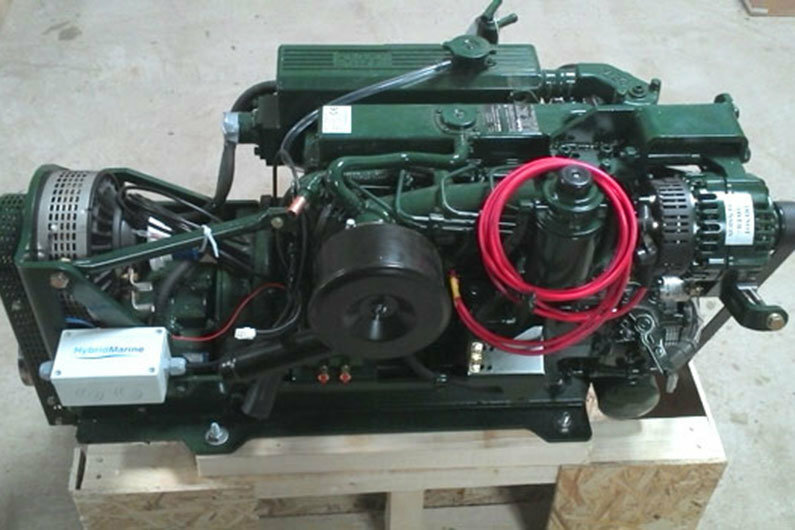 A cocooned diesel generator will use less fuel that a diesel engine used for propulsion, but economy is probably not the principle reason owners specify a hybrid system especially when the cost of the components and installation is taken into account.